Before camp began, we weren't sure if our 4 yr old daughter would be able to handle a full day of summer camp. Not only has she loved Freds camp since day one, but we have seen so much growth in terms of her language and development. We have been so impressed with the staff. They are always friendly, approachable and accommodating. Everyone at Fred's Camp seems to have a genuine vested interest in keeping the kids safe and happy from the beginning of the day until the very end. The counselors do an amazing job of making each kid feel equally important and special in the groups. 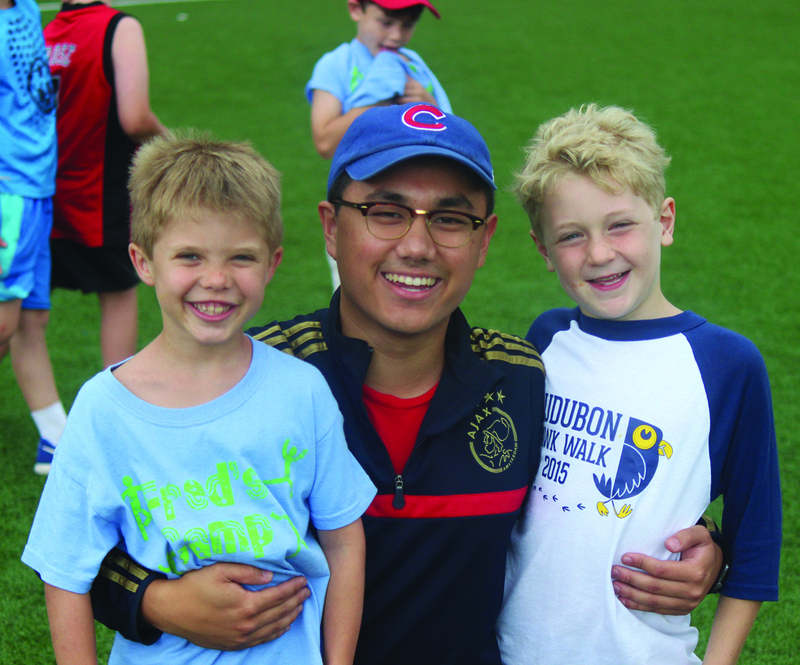 It's clear that Fred's camp promotes a sense of inclusion for every kid. The swim program and activities are amazing! This summer has been such a positive experience for my daughter and has given her more confidence & memories than we ever could have imagined! Thanks to everyone at Fred's Camp and keep up the great work! taking great care of him in the process! Thanks so much! Foster had great time this year too! He became a real swimmer and loved camp, friends, activities & counselors. Thanks to you all! so sad to see camp end. camp for my kids thx for everything! playing with the counselors and other campers.